If you're installing a new hard drive, or need to wipe your drive clean for that "fresh" feeling, you'll end up formatting your drive. Formatting will check the drive for errors, and prepare it for use. If a drive has data on it, formatting the drive will remove all of the pointers to your files. Note: Formatting doesn’t securely erase the contents of a hard drive. With freely available and easy-to-use tools, anyone can successfully recover data from a formatted drive. See How to Completely Erase a Hard Drive for information on wiping your hard drive clean. Formatting can take hours to complete, but it is a good option when you have a new or inherited drive that is not properly formatted, a drive overrun by malware or other software problems, or a drive in need of a fresh start before a Windows installation. 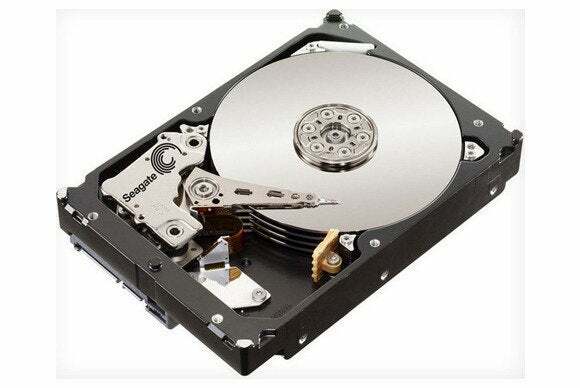 Traditional, magnetic-platter hard drives as well as solid-state drives can be formatted. Before you begin, be sure to back up important files on the disk before you format. To partition and format your drive, you can use Windows' built-in tool called Disk Management. In Windows 7, click Start. Next, right-click Computer, then click Manage. The "Computer Management" window will open. In the left pane, click Disk Management (under Storage). In Windows 8, right-click the Windows button, and select Disk Management. If your disk is not initialized (as is sometimes the case with brand-new drives), you’ll be prompted to initialize it. If your disk is 2TB or more in size, select GPT; otherwise, stick with MBR. Right-click the black bar or the unallocated white space below it and select New Simple Volume… Don't be dissuaded by the word, "Volume." It's just another term for "partition". Click Next. To create a single, whole-drive partition, make sure the "Simple volume size in MB" value is the same as the "Maximum disk space in MB" value. Click Next. Assign a drive letter of your choice. Click Next. Select Format this volume. For File System, choose NTFS if you’ll be using the drive only with Windows machines. If you will be sharing the information on the drive with Macs, choose exFAT. Keep Allocation unit size at Default. Choose a name for the partition under Volume label. Do not select Perform a quick format or Enable file and folder compression. Click Next. Once your drive is partitioned, each partition will have to be formatted with a filesystem. Luckily, the Disk Management utility makes this really easy. Right-click the blue bar or the white space below it and select Format. Choose a name for the partition under "Volume label." For File System, choose NTFS if you’ll be using this drive only with Windows machines. Linux machines can read unencrypted NTFS partitions as well. If you will be sharing the information on this drive with Macs, choose exFAT. Keep "Allocation unit size" at Default. Do not select Perform a quick format or Enable file and folder compression. Click OK.
Insert your Windows installation disc or restore disc into your disc drive and restart your computer. Boot your PC from the Windows disc. 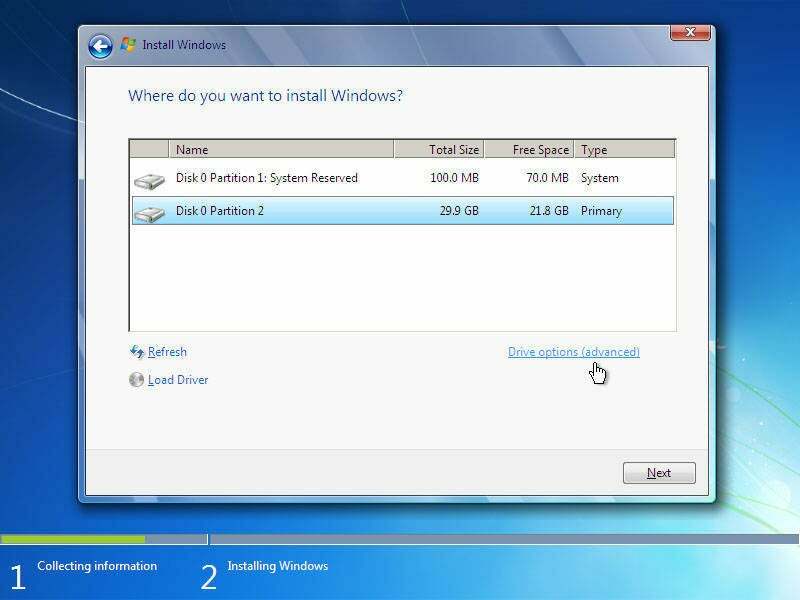 For instructions on booting to your recovery partition, review your system documentation. If you are using a manufacturer’s factory restore disc or hard-drive recovery partition, follow the prompts to initiate the restoration process. Unless stated otherwise, your drive’s primary partition will be formatted and returned to its factory-fresh state. If you are using a Windows 7 installation disc, select your language, accept the Windows license terms, and select Custom (advanced) when prompted. Delete any partitions you want to remove by selecting them, clicking Drive options (advanced), and clicking Delete. 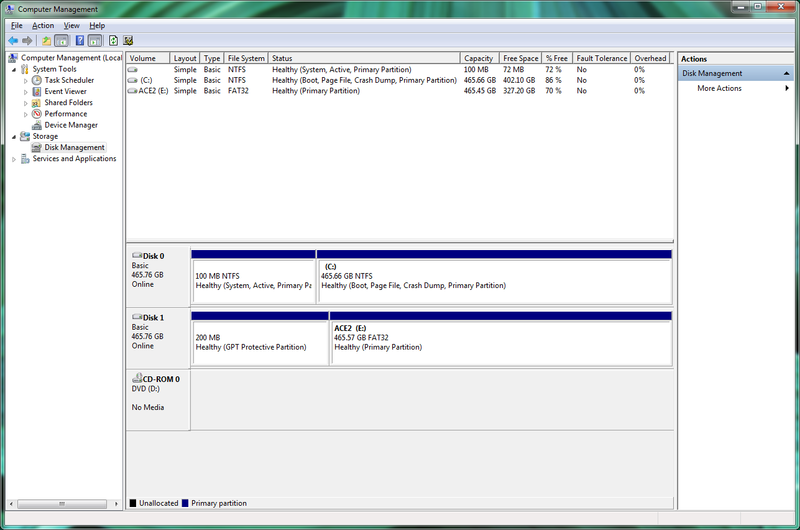 Create new partitions by selecting unallocated space, clicking Drive options (advanced), and clicking New. Select Format after creating your partition(s). After formatting is complete, click Next to start the Windows installation. Windows may prompt you to accept the creation of a small, system-reserved partition--accept it.